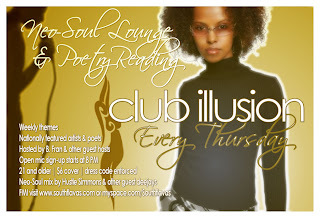 From the what's up with this rain department... Neo Soul Lounge has changed to Thursdays @ Club Illusion. 21 and older. $6 cover. And open mic sign-up starts at 8pm.